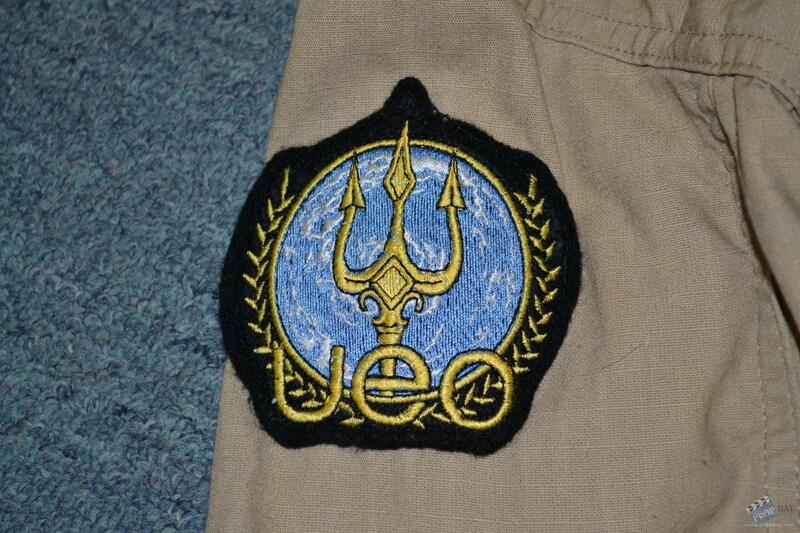 This is a UEO Peacekeeper uniform worn by extras in the 3rd season. The UEO Peacekeeper was an reserve united nations solider and were station at various pacific undersea colonies to protect the colonist and to keep the peace. 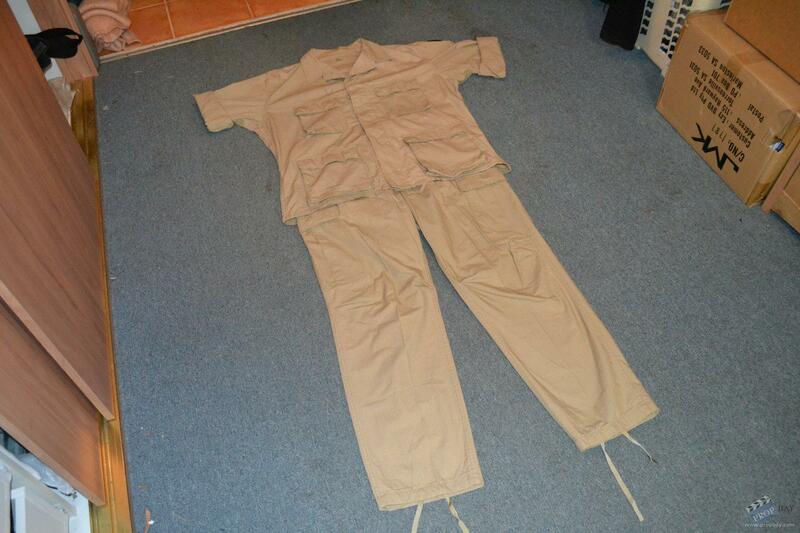 The uniform consists of a khaki cream coloured jacket and a matching pair of khaki cream coloured pants. 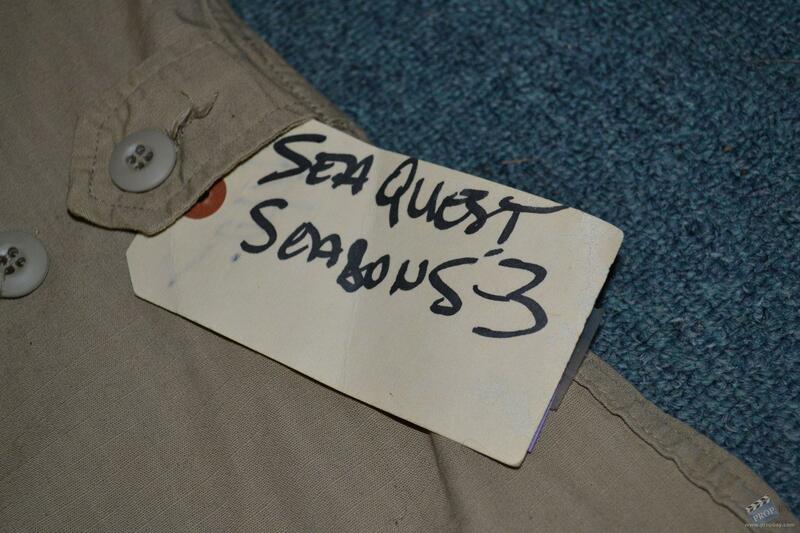 The Jacket has a UEO patch on the RH side shoulder and both the jacket and pants are sized as a Regular/Large. The uniform is missing 3 addons to complete it, including a cream coloured nylon tactical belt, a navy blue armband and a blue coloured beret which both display the Peacekeeper patch to distinguish them from other UEO personnel. These costumes can been seen in the 3rd season episodes Brave New World and Brainlock. In the Brave New World episode, UEO peacekeepers can be seen being embraced by colonists who were freed after the Seaquest and it's crew liberated the colony of Nexus from a Macronesian attack forces. 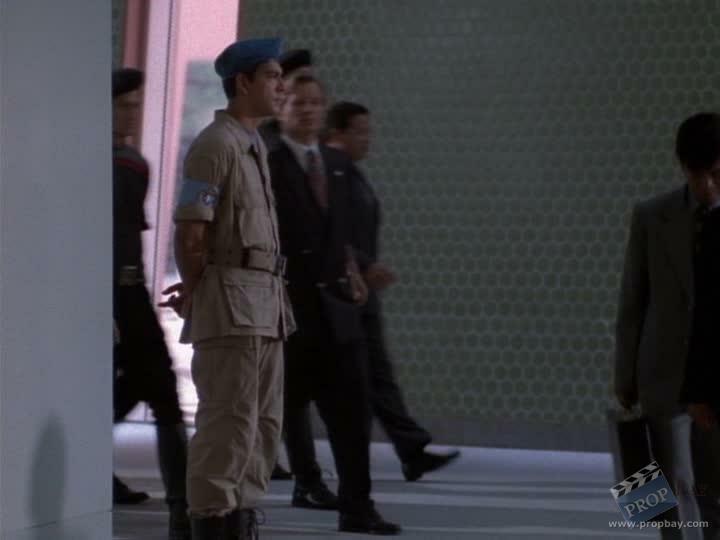 In the other episode titled Brainlock, several UEO Peacekeeper soldier's can been seen standing at attention along the walls of the a UEO secured facility where a world council meeting was taking place. The UEO peacekeepers were provide security along with other UEO security personnel. Added: 06-25-2014 - Viewed: 1594 times.